Looking Back At SEAQUEST DSV | Warped Factor - Words in the Key of Geek. 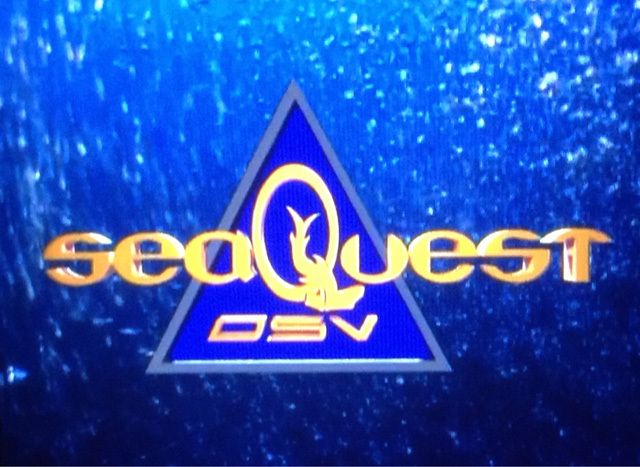 The pilot episode of SeaQuest DSV can be summed up in three words - thoughtful science fiction. Not my phrase, I have to admit, but that of Harve Bennett's, coined when he was referring to his involvement with the Star Trek franchise. In many ways seaQuest DSV has the same feel as Trek, especially The Next Generation era, but whilst TNG was set in the far future and used space as a backdrop as reference for today's telling problems, seaQuest DSV was set just twenty five years after its broadcast date and placed the action underwater. 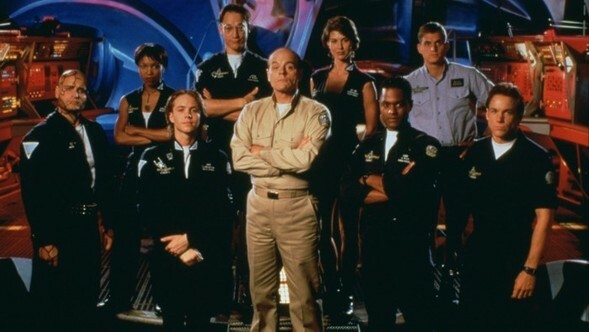 Created by Rockne S. O'Bannon, who wrote the Alien Nation movie and would go on to have television successes with Farscape and Defiance, and produced by Steven Spielberg's Amblin Television, seaQuest DSV debuted in 1993 with Jaws star Roy Scheider playing the lead character of Captain Nathan Bridger, designer and commander of the titular naval submarine seaQuest DSV 4600. 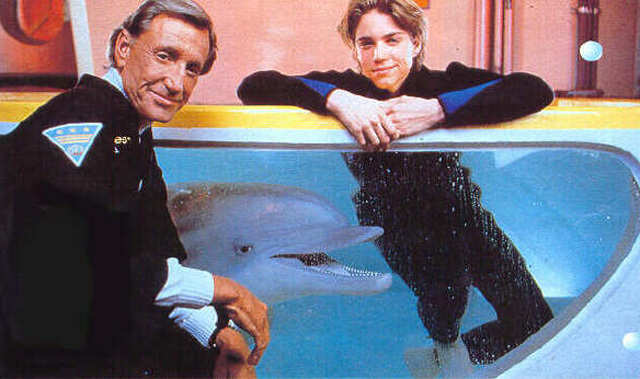 Jonathan Brandis also starred as Lucas Wolenczak, a teenaged computer genius placed aboard seaQuest by his father, and Stephanie Beacham as Kristin Westphalen, the chief medical officer and head of the seaQuest science department. Also present was a dolphin character called Darwin who, due to technological advances, was able to communicate with the crew. SeaQuest DSV had a lot of promise in its first season, it was very creative and it gave those viewers who never open a science book or watch the Discovery Channel the chance to learn something of the sea and the wonders inside it in a very intriguing format. Like Trek, the mission was to explore, and to protect where necessary. There was a strong chemistry between the cast, great storylines, a focus on relevant issues and informative lessons over the credits. I was hooked, if you pardon the pun. 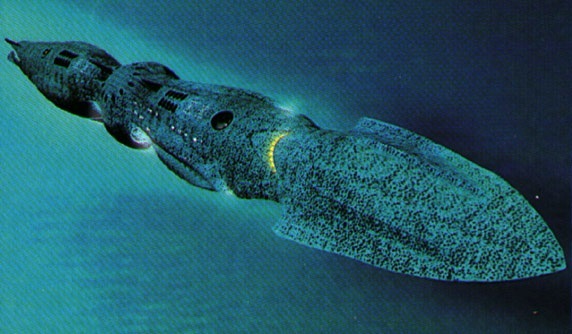 Although some of the mid 90s CGI is cringeworthy today, the design of the submarine itself is not. It was forward-thinking looking and realised exceptionally well. However, some of the similarities to TNG (namely having a super-genius kid on the show) could've possibly been played down a bit, but this is a minor gripe at that period of the show's history and so this was not difficult to overlook. When the first-season finale was shot it was not known if the show would be renewed for a second season. 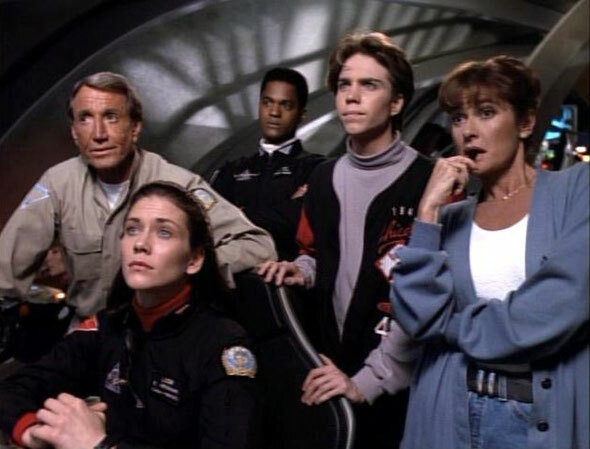 A brilliant cliffhanger was broadcast, with Bridger sacrificing the seaQuest to prevent an ecological disaster. That could've been it, but when it was decided the show would return, the producers used this opportunity to change the show's format and several of the cast members. The science-possible format was largely dropped, much to the show's detriment, and two of the regular season one cast members, Royce D. Applegate (Chief Manilow Crocker) and John D'Aquino (Krieg) were released by NBC as the network wanted a younger cast for the second year (D'Aquino subsequently returned for a guest appearance in the third season). Several other cast members did not want to relocate to Florida, where the series would now be shot in an attempt to save on production costs, among them were Stephanie Beacham and Stacy Haiduk (Hitchcock), meaning that season two had a different feel altogether. However, the second season still showed promise, at least initially. 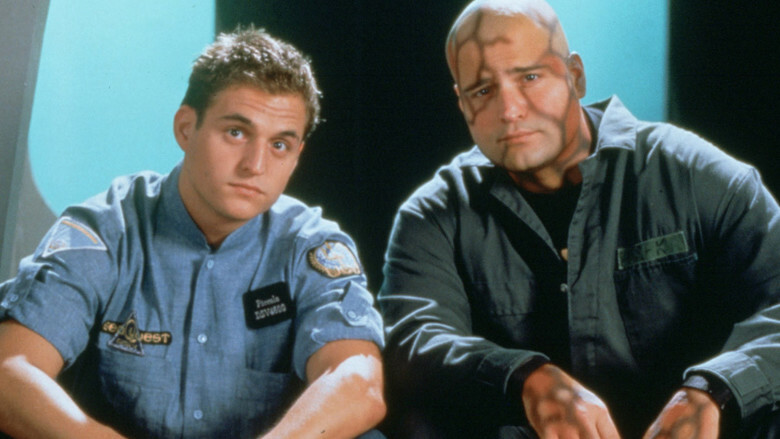 There were several interesting cast additions, including Michael DeLuise as Seaman Anthony Piccolo, an ex-convict who has genetically engineered gills and Peter DeLuise as Dagwood, a prototype genetically engineered life form (G.E.L.F. or "dagger"—a racial slur) who serves as seaQuest's custodian. "It's childish trash... I am very bitter about it. I feel betrayed... It's not even good fantasy. I mean Star Trek does this stuff much better than we can do it. To me the show is now 21 Jump Street meets Star Dreck." "...more of a combat commander than a scientific commander and I hadn't signed up for that." It's no surprise then that Schneider asked to be released from his contract at the end of the second season. The producers only partly agreed and made him appear in four episodes of season three, which was to be seaQuest DSV's final year. Towards the end of season two, in the episode Splashdown, Mark Hamill of Star Wars fame guest starred on the show. In the episode seaQuest and its crew are taken billions of light-years into the future and are, apparently annihilated on an alien planet. 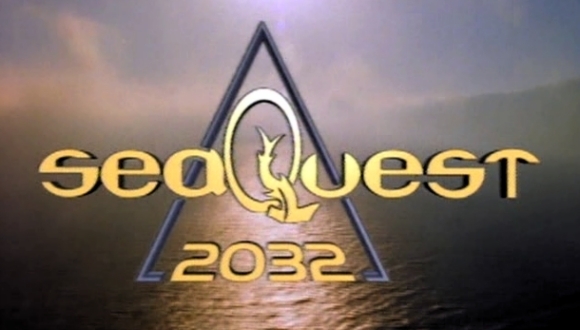 Season three of the show, now titled SeaQuest 2032 picked up on this thread and took the story ten further years into our earth's future. Captain Oliver Hudson (Michael Ironside) leads the search for the 'lost' submarine. Stretching story credibility to the limit seaQuest reappears on earth. By episodes end Bridger announces his retirement to take care of his new grandson, with Hudson taking over the helm of the sub. Originally, Ironside refused to join the series. "I saw so many problems that I couldn't see where I'd be able to do the work I wanted to do." After weeks of negotiations where Ironside offered producers a number of changes to the storytelling structure of the series, which were mutually agreed upon, he finally signed on. "You won't see me fighting any man-eating glowworms, rubber plants, 40-foot crocodiles and I don't talk to Darwin." What you did find though was, in this writer's opinion, a badly done near-apocalyptic future with too much emphasis on international politics, less science-fiction and even less of the actual science presented in season one. Indeed, the marine trivia presentations at the end of the show, formerly hosted by oceanographer Dr. Bob Ballard in the first season and the principal cast in the second season, were dropped entirely. SeaQuest DSV was a good show with enormous potential that ended up going in a disappointingly bad direction. Too many cast changes and a sudden drop of the original science-possible premise turned the series from a future mankind could actually look forward to (deep sea colonization, deep sea mining, exploring underwater volcanos, etc) to one of aliens, politics, time travel, and far fetched monsters. But the first season (and a portion of the second) is still well worth your time. Far worse things have happened at sea.